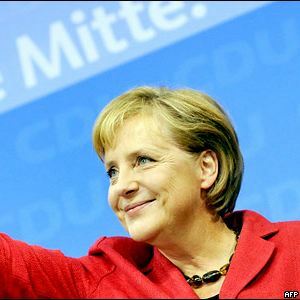 As Angela Merkel was reelected German Chancellor and is due to begin a new coalition with the Liberals, nuclear power plants may not be phased out in 2020 as it was previously agreed. Meanwhile, and if Germany keeps it targets of renewables answering 33 percent of the electricity demand in 2020 this may mean that the country’s electricity generation would be 60 percent low carbon within the next ten years. This is quite a good illustration that we don’t have to choose renewables over nuclear as we need both for low carbon electricity and climate change mitigation. I have always thought that Germany is an example on renewables but found that this penchant for nuclear phase-out a mistake. Indeed, the country still relies for 60 percent on coal and natural gas for electricity generation. Phasing out nuclear power plants would keep such a proportion, and this even with the meteoritic rise of renewables.